Over the next few weeks, I will be putting together a new Police and Crime Plan for our county, setting out key priorities for Essex Police and laying out a framework for our partner agencies who work hard to keep our communities safe. This will build on the many conversations I had whilst campaigning for the role of Police and Crime Commissioner and the commitments I made to the people of Essex in that campaign. I aim to publish the revised Police and Crime Plan for Essex this autumn. That means that, during the summer and together with my team, I will be engaging with a wide range of groups and organisations and listening carefully to the views of the public. From speaking with many people across Essex, I have gained a clear sense of some of the key issues for local communities, and these were reflected in the manifesto on which I was elected as PCC. 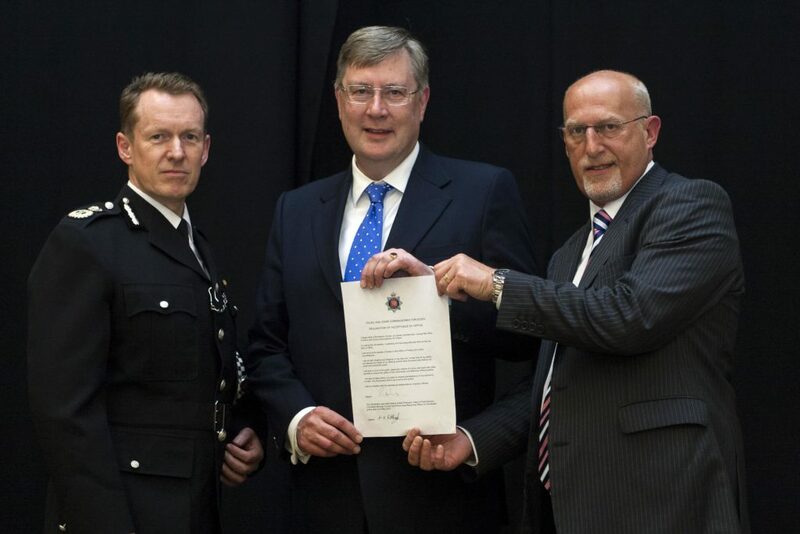 Since the election, I have shared that work with the Chief Constable and senior officers in Essex Police and with the Police and Crime Panel, and I have now published a document entitled “Policy Implications from Manifesto Commitments”, which can be found and read in full beneath this statement. I believe it is essential that Anti-Social Behaviour is addressed before it develops into more serious criminal activity. I will be expecting the Community Policing Teams and the Community Safety Hubs set up with local councils and other partners to be at the forefront of tackling ASB and nuisance behaviour. This is likely to include a renewed focus on Restorative Justice to help resolve persistent issues. I want Essex Police to be more local, visible and accessible. That will mean using new technology more effectively to enable officers to spend more time on patrol. We all know that smart phones and tablets allow us to keep up with colleagues and deal with admin while being where we want to be. Officers will want to share intelligence and make their reports out and about where they can be seen and are ready to respond, or in places such as coffee shops where they are accessible to the local community. I expect Essex Police to provide a visible patrolling presence, particularly in areas where intelligence has identified a crime hotspot. And we need officers who are part of their local community and know it well. We should aim to double the number of Special Constables, and ensure that they are properly integrated, boosting police visibility across both rural and urban parts of our county. We should also look to bolster community involvement further through Neighbourhood Watch and Farm Watch. We will continue to focus on tackling domestic abuse, identifying high risk situations early and intervening to prevent harm from occurring. This work needs strong partnership coordination from Essex Police; our local authority partners in adult and children’s services and in housing; the health service; the criminal justice system, and the crucial involvement of the voluntary sector, with specialist services to support adult victims and safeguard children. Victims must have a safe space to report crime, and access to protection, support, and justice. There were fifteen domestic homicides in Essex between April 2015 and March 2016, each one a senseless loss of life leaving a trail of pain and distress for the victim’s family and friends. Those who commit domestic abuse must be dealt with. Serious violent crime blights individual lives and makes communities unsafe. In the year to April 2016, violence with injury in Essex increased by 14.3 per cent to 11,818 crimes. Much of this is fuelled by drug and alcohol abuse. If violence is regularly occurring in our night time economies, there must be close working with local businesses to ensure that every possible step is being taken to prevent alcohol or drug-fuelled violence. We also need to work with the Health Service and volunteer groups to identify and help vulnerable people experiencing mental health episodes. In addition, there must be better monitoring of dangerous offenders, a cross-agency approach to intelligence, and robust enforcement. Some of this violent crime is driven by gang activity, as London-based gangs spread out into towns across Essex, sometimes competing with existing criminal gangs. This has led to stabbings, vicious GBH assaults and even murders in Essex, and vulnerable people, often young, are exploited by the gangs. We need to work with education services and skills training to deliver effective prevention and diversionary activity for high risk individuals. I have already begun to address this issue directly providing seed funding of £100,000 to locally focused Community Safety Hubs, as we must both recognise the harm that gangs are causing and ensure our communities know how to help Essex Police target gang members and bring them to justice. We must also recognise that Road Traffic Collisions kill more people in Essex than all other forms of violent crime put together. Speeding, drink and drug driving and use of the mobile phone at the wheel must become offences we are not prepared to accept. Enforcement alone will not prevent this behaviour: to change it, we need better driver education, and the simple recognition by all that bad driving kills and maims. These are some of the key areas that I will be focusing on in the next few months. Ultimately, the Police and Crime Plan must reflect the views of the people of Essex whilst balancing strategic needs such as protecting us from the threat of terrorism. As Police and Crime Commissioner, I have responsibilities to ensure that victims of crime and vulnerable people receive the best possible support and protection. This will be at the heart of my approach to the role, and of the work of Essex Police and partner agencies.